One of the key architects of the Facebook social media and advertising platform, chief product officer Chris Cox, is leaving the company after 13 years. After CEO Mark Zuckerberg and COO Sheryl Sandberg, Cox is the third highest-ranking executive at Facebook, representing the engineering and product sides of the company. As of last spring the heads of Instagram and WhatsApp report in to him. 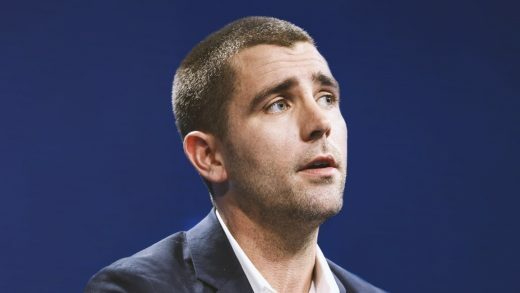 He was also seen as a standard bearer for Facebook’s internal culture, which means that his departure may say even more about the company’s future. Cox’s bombshell comes just one week after Zuckerberg announced that Facebook would become a “privacy-focused” company. A long-time Zuckerberg confidante, Cox’s departure timing suggests he may not have been on board with the new corporate vision. “This will be a big project and we will need leaders who are excited to see the new direction through,” he said in a Facebook post on Thursday. Facebook’s stock is off 2% in after-hours trading on Thursday.